With new opportunities shaping up in Australia the Indians will have a grand experience if they are planning to move to the destination this year. Under the specific guidelines by the Department of Immigration and Border Protection (DIBP), the new guidelines, as envisaged by the immigration ministry, will make immigration from India to Australia simpler and faster. 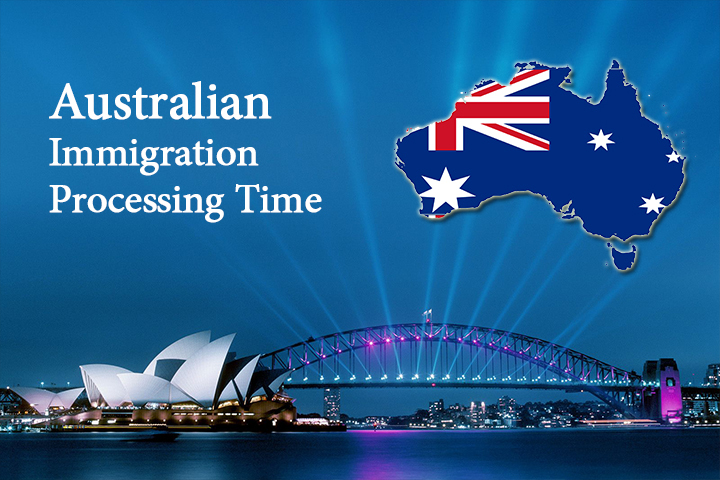 The Australia Visa processing time will be shortened by half for the Indians. For the Australia Visa processing time, you can consult with your immigration agent, but in this piece, you will get a brief synopsis of what it will be for this fall summer. At this juncture the Indian immigrants can easily file for the sponsored visa, study visa, travel visa training visa, prospective marriage visa, and maritime crew visa. All these specific visas are well known for their complexity and time delays, but with online application brought in the picture, it will be simpler for the immigrants to submit an application for a visa. As many Indians were facing a stiff struggle with the process of applying for the visa, with camaraderie increasing in between Narendra Modi, the Prime Minister of India; and Malcolm Turnbull, the Prime Minister of Australia, it is much likely that Indians will soon experience a simpler visa processing norms in Oz. And, won’t that be just great? In the online visa processing system, 24*7 assistance by tech team, electronic payment, and online visa status assessment have been implemented which will quicken the pace of the acceptance and dispatch of the documents, to make the movement instantaneous. As the Indians will be able to see the status of the visa online, and even the time it will take to get the application accepted, it will help them to plan the travel accordingly. At present, the visa approval has been given almost 15 days to 20 days prior to the movement. With such a short lag, it is hard for them to manage with everything from the scratch. With the visa monitoring enabled, it will have a much better impact on the preferences of the immigrants to choose a country for immigration. As this announcement has been termed as unprecedented, there has been a gradual rise in the number of applicants over a period of time. Take a look at the year-on-year rise of the applicants! The year on year rise on the applicants has been attributable to the strengthening diplomatic and economic ties with India, and with the Australia Visa processing time further improving with the passage of time, it will be more applicants in the pool applying for Down Under. Make the most of the positive development and do not be left out! With visa processing time of Australia shortening for Indians, it will be much easier and promising to move without any trouble from India. In this piece you will come to know in brief about the same.